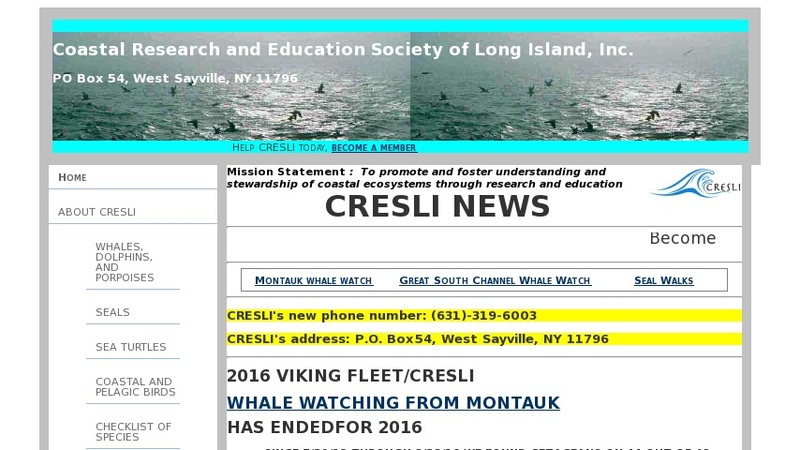 Organization includes experts in marine mammal and environmental science, education and conservation; conducts research, provides educational experiences and promotes conservation of coastal ecosystems in Long Island, NY. They involve public participation in monitoring local waters for whales, pinnipeds, sea turtles and seabirds, especially stranded and entrapped animals, as well as supporting research in the Caribbean and Central America. Offer shipboard programs, lectures, educational materials for school groups, grades 1-8. Program fees apply, request programs online.